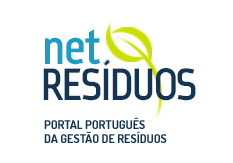 NetResíduos is a portal for information sharing on waste management in Portugal. The objective of this portal is to contribute to raising awareness and sharing knowledge about waste challenges, but also to provide means to improve waste management and contacts at all possible levels in order to promote circular economy. In the context of its area of development of solutions for waste management, NetResíduos is responsible for the WebProgresi application, a software for optimizing waste management through e-GARs.